My degree and the experiences I’ve had enable me to have the choice of working in either the agriculture or engineering sectors, of which I’m both interested in." 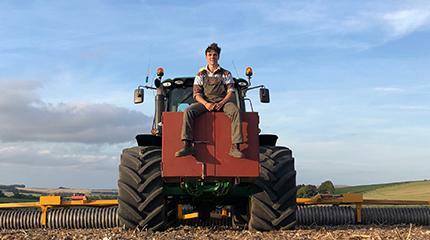 BEng (Hons) Agricultural Engineering student Hywel Phillips didn’t realise that he could have a career in agricultural engineering until attending a UCAS fair and speaking to a member of staff from Harper Adams University. 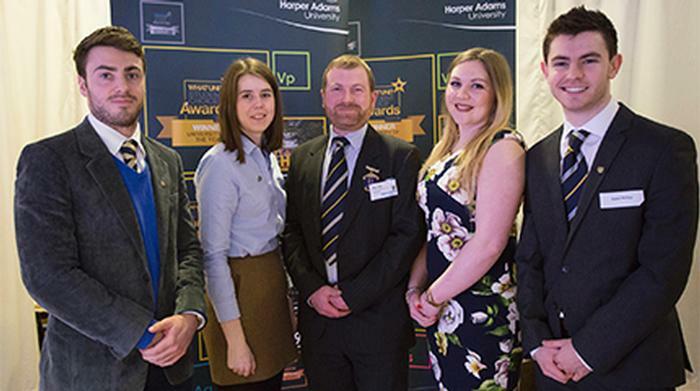 Since then the 22 year-old has gone from strength-to-strength and now in his final year has recently received the HA Club President Scholarship, along with being the continuing CLAAS scholar. The student from near St. Davids, Pembrokeshire, explained how he got to where he is today: “Both of my parents work in construction and when I was younger they encouraged me to think of a career in the sector, such as being an architect, but I never got a buzz from it. 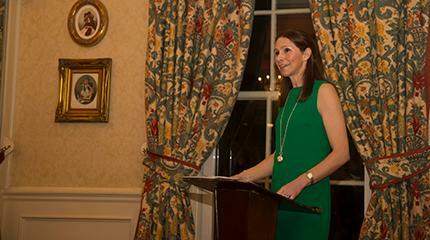 “I had an interest in agriculture because I lived in a rural area and had friends who lived on farms. Tractors were my first toys when I was little and this really set me off! “I realised I’d like to have a career in the agricultural sector when I took on a relief milking job while also studying my A levels. I developed this role into a business but knew I had bigger ambitions. 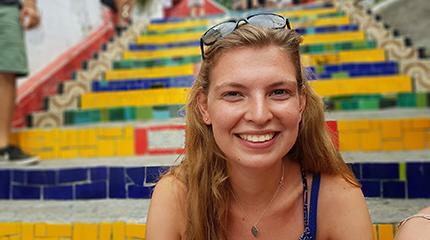 “I decided to come to Harper when I first found out about the university and the courses it offered at a UCAS fair. I walked into the room and saw the Harper stand straight away. “I was interested in engineering, but knew that I didn’t want to do pure mechanical engineering. I learnt about the agricultural engineering course from the member of staff on the stand, and it really appealed to me. It provided the right mix of engineering and agriculture in a professional manner that was ideal for me; I’d never realised that it would be a possibility. “In my previous research and discussions with teachers, I was being directed towards diplomas. I didn’t know that I could get a degree in the area, which is what Harper allows me to do. University suddenly became an option for me, and I couldn’t wait to start. I even used all five of my UCAS options to apply to Harper. “During my first year I was awarded a McConnel Scholarship which provided the financial means to go to a number of agricultural and machinery shows in the country, such as Lamma and Grassland, which I hadn’t had the opportunity to attend before. “After my first year, I worked on a harvest for MJ & SC Collins in Essex where I learnt more about modern techniques and how larger enterprises work, using precision farming and forward-thinking arable methods. “I feel I really developed as a person over the three months I worked there and felt more confident in my abilities and potential returning back to Harper. It was the perfect chance to see how farm managers think and work, and to see the professional opportunities that a career in agriculture can offer. “I strongly believe that this experience gave me the credentials to gain the work placement and scholarship with CLAAS, which has also led to further doors opening for me. 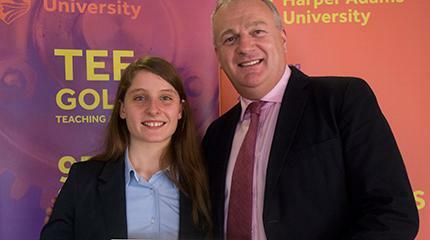 “This year I received the HA Club Presidents Award, along with being the continuing CLAAS scholar. Both of these scholarships give me better financial security which allows me to focus fully on my studies. “My degree and the experiences I’ve had enable me to have the choice of working in either the agriculture or engineering sectors, of which I’m both interested in. So many of the job opportunities I’m seeing at the moment excite me, and I didn’t know many of them existed when I chose my degree. “I’ve taken the opportunities that have presented themselves along the way and in turn more opportunities have come forward, it feels like all these unexpected experiences are all steps towards a satisfying career.